“BCA - PT Bank Central Asia Tbk Hasil Kinerja Tahun 2017 - Menjaga Kepercayaan Melalui Kualitas,” 2018. [Online]. Available: https://www.bca.co.id/sitecore/content/BCACOID/Website/Tentang-BCA/Korporasi/Siaran-Pers/2018/03/09/03/37/menjaga-kepercayaan-melalui-kualitas. [Accessed: 26-Apr-2018]. a Parasuraman, V. a Zeithaml, and L. L. Berry, “SERQUAL: A Multiple-Item scale for Measuring Consumer Perceptions of Service Quality,” J. Retail., vol. 64, p. 28, 1988. A. Jashapara, Knowledge Management: An Integrated Approach. Pearson Education Limited, 2004. D. Fluss, The Real-Time Contact Center. AMACOM, 2005. 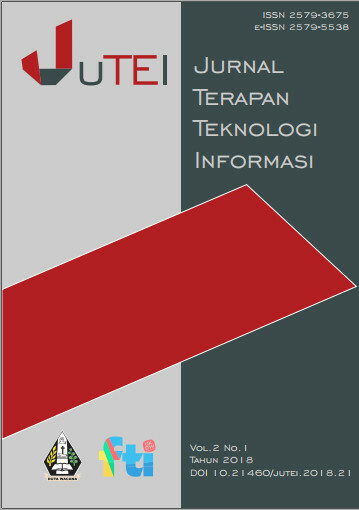 V. Chooprayoon and C. Che, “TECTAM: An Approach to Study Technology Acceptance Model (TAM) in Gaining Knowledge on the Adoption and Use of E-Commerce/E-Business Technology among Small and Medium Enterprises in Thailand,” in E-commerce, InTech, 2010, pp. 31–38. F. D. Davis, “Perceived Ease of Use, and User Acceptance of Information Technology,” MIS Q., vol. 13, no. 3, pp. 319–340, 1989. M. Chuttur, “Overview of the Technology Acceptance Model: Origins , Developments and Future Directions,” Sprouts Work. Pap. Inf. Syst., vol. 9, no. 2009, pp. 1–23, 2009. V. Venkatesh and F. D. Davis, “A Theoretical Extension of the Technology Acceptance Model: Four Longitudinal Field Studies,” Manage. Sci., vol. 46, no. 2, pp. 186–204, Feb. 2000. M. Y. Wu, H. P. Chou, Y. C. Weng, and Y. H. Huang, “TAM2-based study of website user behavior-using web 2.0 websites as an example,” WSEAS Trans. Bus. Econ., vol. 8, no. 4, pp. 133–151, 2011. W. G. Chismar and S. Wiley-Patton, “Does the extended technology acceptance model apply to physicians,” Proc. 36th Annu. Hawaii Int. Conf. Syst. Sci. HICSS 2003, 2003. G. Hart, M., & Porter, “The Impact of Cognitive & Other Factors on the Perceived Usefulness of OLAP.,” J. Comput. Inf. Syst., vol. 45, no. 1, pp. 47–56, 2004. C.-H. Tsai, “Integrating Social Capital Theory, Social Cognitive Theory, and the Technology Acceptance Model to Explore a Behavioral Model of Telehealth Systems,” Int. J. Environ. Res. Public Health, vol. 11, no. 5, pp. 4905–4925, 2014. I. T. J. Brown, “Individual and technological factors affecting perceived ease of use of Web-based learning technologies in a developing country,” Electron. J. Inf. Syst. Dev. Ctries., vol. 9, no. 5, pp. 1–15, 2002. V. Venkatesh and F. D. Davis, “A Model of the Antecedents of Perceived Ease of Use: Development and Test,” Decis. Sci., vol. 27, no. 3, pp. 451–481, 1996. M. S. Khairi and Z. Baridwan, “An empirical study on organizational acceptance of new information systems in a commercial bank environment,” Int. J. Account. Bus. Soc., vol. 23, no. 1, pp. 97–121, 2015. S. R. N. P. Sari, “Analisis Model Penerimaan Pengguna Knowledge Management System (KMS) pada PT. Samsung R&D Institute Indonesia (SRIN),” Bina Nusantara University, 2017. S. Kamel and A. Hassan, “Assessing the Introduction of Electronic Banking in Egypt Using the Technology Acceptance Model,” J. Cases Inf. Technol., vol. 5, no. 1, pp. 1–25, 2003. W. Money and A. Turner, “Application of the technology acceptance model to a knowledge management system,” 37th Annu. Hawaii Int. Conf. Syst. Sci. 2004. Proc., vol. 0, no. C, p. 9 pp., 2004. A. A. Hamid, F. Z. A. Razak, A. A. Bakar, and W. S. W. Abdullah, “The Effects of Perceived Usefulness and Perceived Ease of Use on Continuance Intention to Use E-Government,” Procedia Econ. Financ., vol. 35, no. October 2015, pp. 644–649, 2016. M. McGee, A. Rich, and J. Dumas, “Understanding the Usability Construct: User-Perceived Usability,” Proc. Hum. Factors Ergon. Soc. Annu. Meet., vol. 48, no. 5, pp. 907–911, 2004. C. M. Ringle, S. Wende, and J.-M. Becker, “SmartPLS 3,” SmartPLS GmbH, 2015. [Online]. Available: https://www.smartpls.com/. [Accessed: 06-Feb-2018]. C.-C. Huang, T.-C. Lin, and J.-W. Wang, “Understanding Knowledge Management System Usage Antecedents: An Integration of Social Cognitive Theory and Task Technology Fit,” Inf. Manag., vol. ., 2008. J. F. Hair, C. M. Ringle, and M. Sarstedt, “PLS-SEM: Indeed a Silver Bullet,” J. Mark. Theory Pract., vol. 19, no. 2, pp. 139–152, 2011. P. D. I. Ghozali and H. Latan, PARTIAL LEAST SQUARES KONSEP, TEKNIK DAN APLIKASI Menggunakan Program SmartPLS 2.0 M3. Badan Penerbit Universitas Diponegoro Semarang, 2015. J. F. J. Hair, G. T. M. Hult, C. Ringle, and M. Sarstedt, A Primer on Partial Least Squares Structural Equation Modeling (PLS-SEM), vol. 46, no. 1–2. 2014. G. D. Garson, Partial Least Squares: Regression & Structural Equation Models. 2016. J. Hartono, Metodologi Penelitian Bisnis: Salah Kaprah dan Pengalaman-Pengalaman (Edisi 6). BPFE Yogyakarta, 2010. A. Tiwana, Knowledge Management Toolkit. 1999. E. A. K. Nugroho, J. S. Suroso, and P. Hanifah, “STUDI PENERIMAAN SISTEM MANAJEMEN PENGETAHUAN DI HALO BCA”, JUTEI, vol. 2, no. 1, pp. 43-52, Jul. 2018.